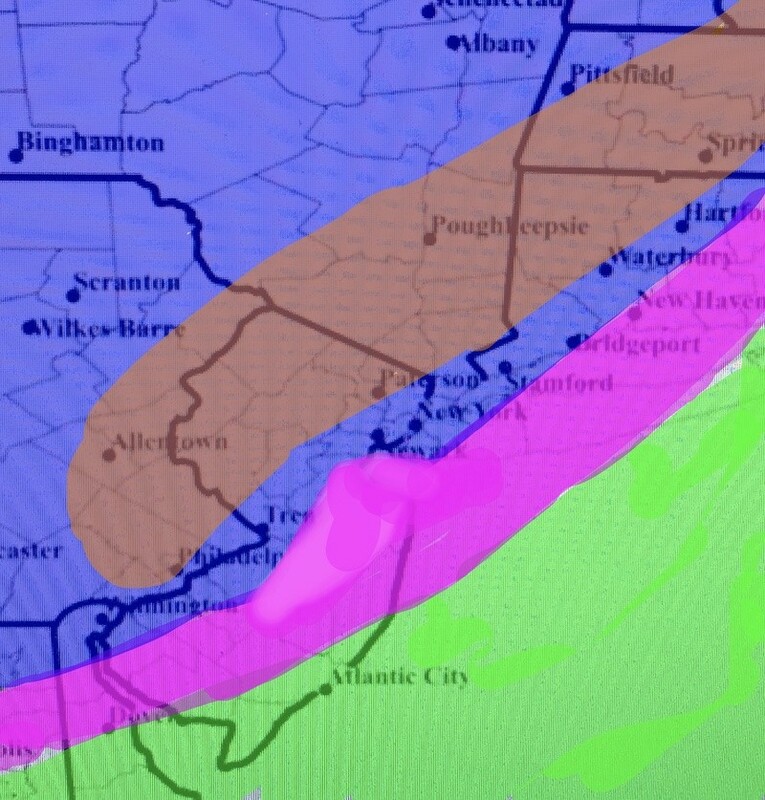 Lee likes 6-9 for city 9-12 plus north and parts of Li. Where do you live at, if you dont mind me asking. Here is to hoping you get that line more south so you can get in the jackpot, im in Tarrytown, i like to share. Is the Euro snow map out yet? jmanley32 wrote: Soul we are both in line with NWS concern of heavy wet snow, prior weakening of trees and 20-30mph winds with gusts to 40mph, I think could see gusts even a bit higher. It's gonna be dicey up here in Westchester, Jman! Heavy wet snow can sometimes do more damage than winds. And the 06z NAM continues the foot long obliteration from Nassau County westward, including 16" in NYC proper. Finally. Going to be EXCITED about a damn storm. G'night fellow crazies. Soul - have a snow m for the 06z NAM? 6z GFS is way west and warm, though less amped. I know it is the 6z GFS but the NAM is also slightly west as well, while the RGEM, CMC, EURO, UKIE all stay in better spots slightly less tucked. Not putting a ton of stock into it...but something to keep an eye on for the 12z suite. Wondering if with such a block in place we see those last minute southeast ticks.